We are excited to welcome new works by UK based artist Green Lili into the United Interiors print collections. 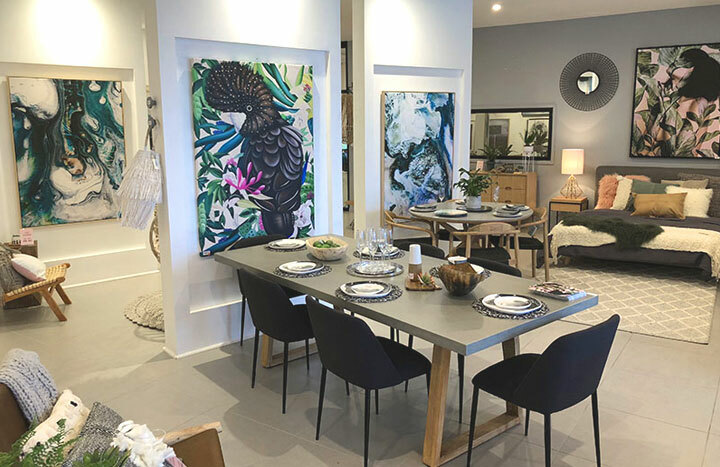 Established in the UK by British designer Michelle Collins, Green Lili brings spaces to life with bold, clean lines and timeless style. 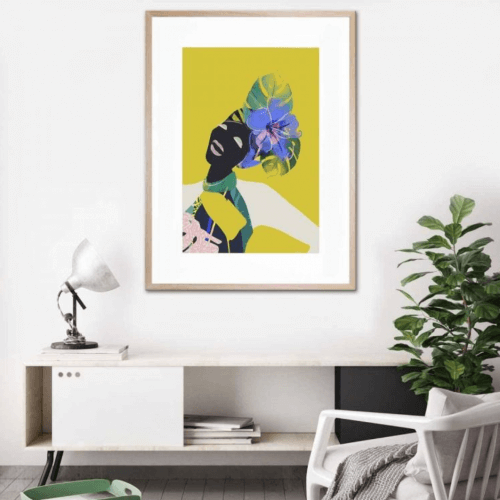 Her work is varied yet cohesive in style; from simple and bold typographics, to Scandi-inspired abstracts, geometric prints, vintage floral art and animal portraiture, each piece is fun and classical, with a modern twist – perfect for creating a gorgeous gallery wall! Dramatic florals are a great way to add a touch of nature, colour and texture into your space. The intricately detailed floral print is a modern illustration with a nod to the vintage aesthetic – very on trend! 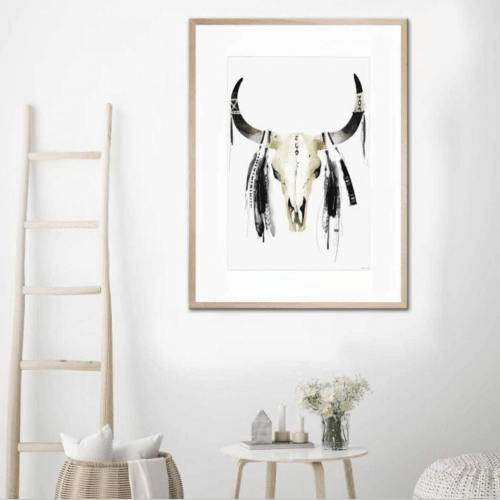 If you’re after some drama in your space – a moody animalistic photographic print might be the answer! 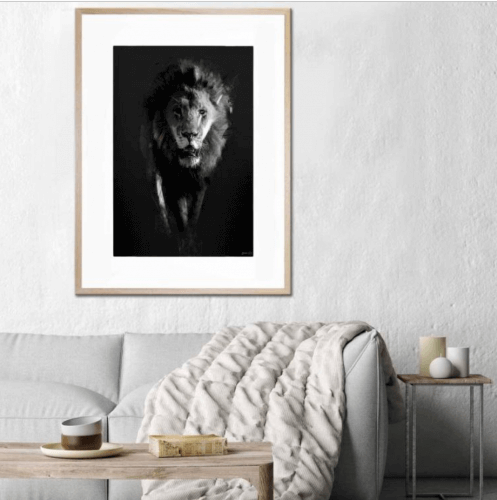 Incorporating nature and energy with a Lion framed print is an instant way to add life to your walls. 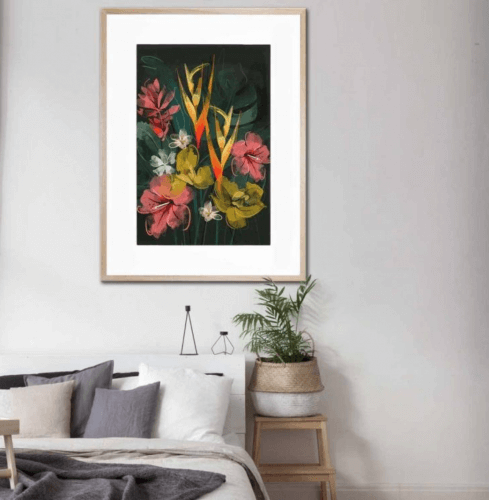 We love prints that are fun and colourful with a modern twist – add a tropical-esque colour palette and this creates a quirkiness that is perfect for an eclectic interior style. 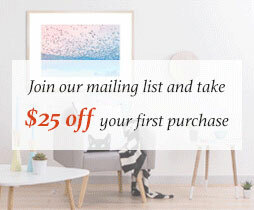 An instant pop of colour is all you need to anchor your space and make your artwork the focal point. 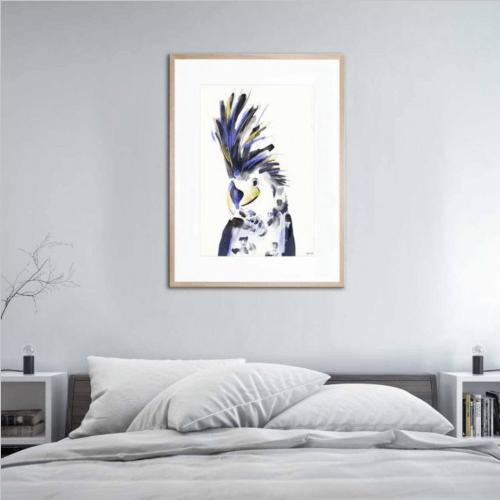 A soft watercolour piece adds an element of calmness to your room. 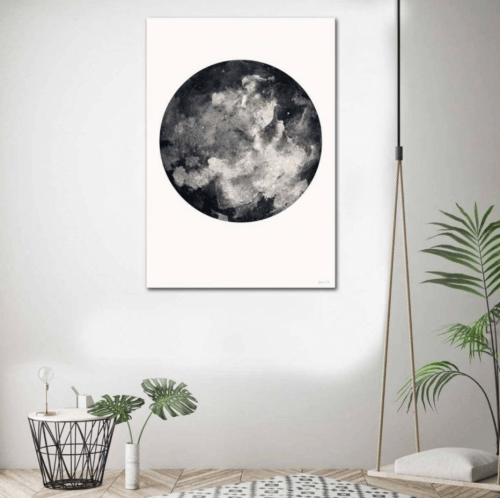 The minimalist style of this piece is perfect for a bedroom or living area as it’s easy to style – hang in on its own to create room for the artwork to breathe within the negative space, or pair it up with brighter or bolder artworks to create a complimentary cluster of art. Shop the entire Green Lili collection online here. Michelle Collins is a Sheffield-based designer and illustrator who specialises in digitally-painted pieces. Her background in art and graphic design shaped her passion for a geometric and minimalist aesthetic. 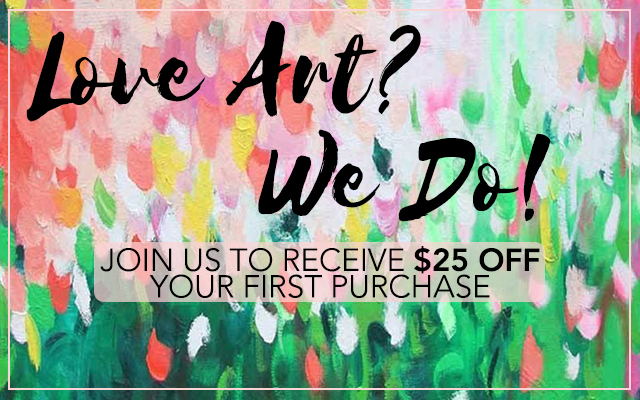 Michelle’s love for contemporary art and architecture, and her simple, yet bold style reflect Green Lili’s forward-thinking and fresh vibe, drawing inspiration from her travels through North America, Thailand and Western and Central Europe.